We have been receiving some emails and support tickets with questions such as: “I am not sure how to handle this request. Can you assist me?”. When we received our first ticket with this query, we found it unusual, as however ambiguous the requests can be sometimes, the logical steps to take are to acquire more information, offer a quote, make a connection and deliver the service. Fortunately, Peerwith can offer this kind of simplicity. Upon proceeding to the link, it became evident that the expert had a point, as the request they did not know how to address was a mild case of ghostwriting! 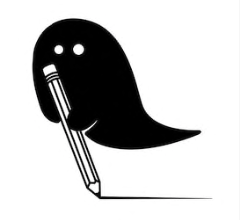 Most of the members of the academic community will consider ghostwriting unethical; others will say that the degree of its acceptability depends upon various factors, such as the field it is in, and a small minority will probably find ghostwriting okay. At Peerwith, we find it unethical in itself to facilitate anything that disrupts the academic processes in any harmful way, and many will say that this is exactly what ghostwriting does. Thus, we have a zero-tolerance policy towards such requests. So, what would be an example of a ghostwriting request? Often, it is not even the entire request, but a part of it, where a client is in the middle of writing their manuscript and makes it clear that the expert is expected to write an entire section, paraphrase the plagiarism or even write a thesis statement for them. Depending upon how explicitly unethical the request is (someone who knows what they are doing versus an inexperienced researcher), there are a few ways to go about it. If it is evident that the researcher just wants to put their name on someone else’s work, then the request should be closed immediately. 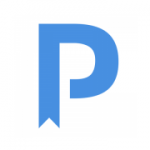 What the expert can do is contact us via info@peerwith.comor submit the support ticket with the client’s name, the request’s title and the link, so we can find the request and close it. If, however, the expert has a suspicion that the client is not aware that what they are requesting is unethical, then the expert can simply bring this to their attention. What is even more constructive, and what many of you already do, is to say something like “If you write this section/thesis statement/paraphrasing yourself, I will perform the language editing (or whichever other service has been requested)”. Then, it is up to the client to decide what they want to do, which will also show their intentions. Usually, the client will get the hint and act accordingly. If, however, the client decides to look for someone else, the chance is big that respecting academic ethics is not one of their priorities. In this case, the sensible thing to do would be to contact us so that we can close the request. Hopefully, this helps answering the question of how to deal with requests containing ghostwriting. And even more hopefully, there will be no such requests in the first place.